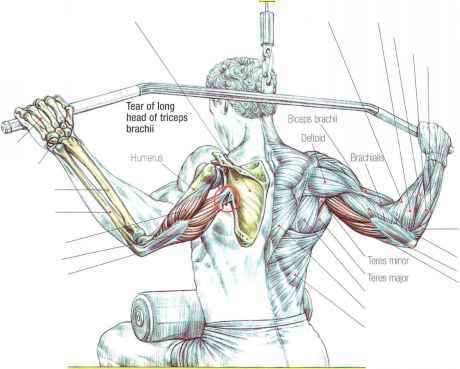 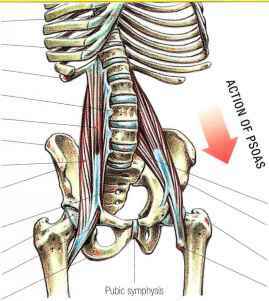 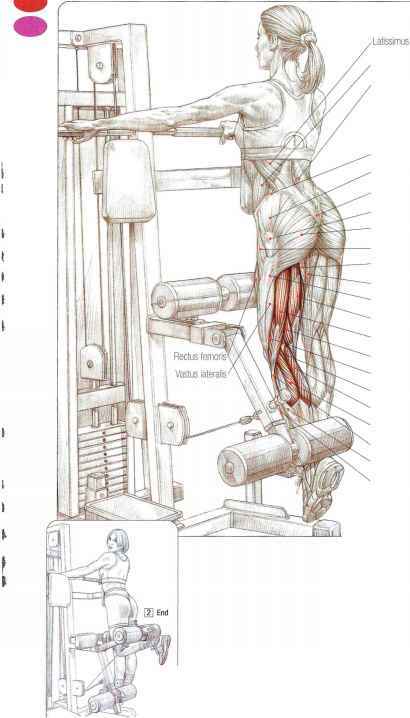 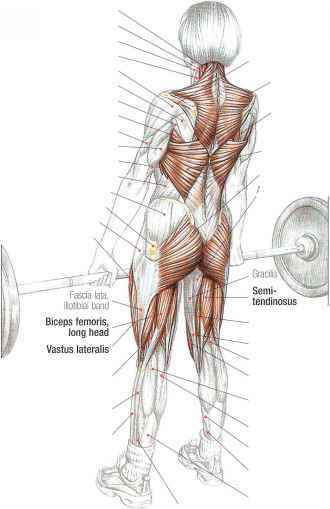 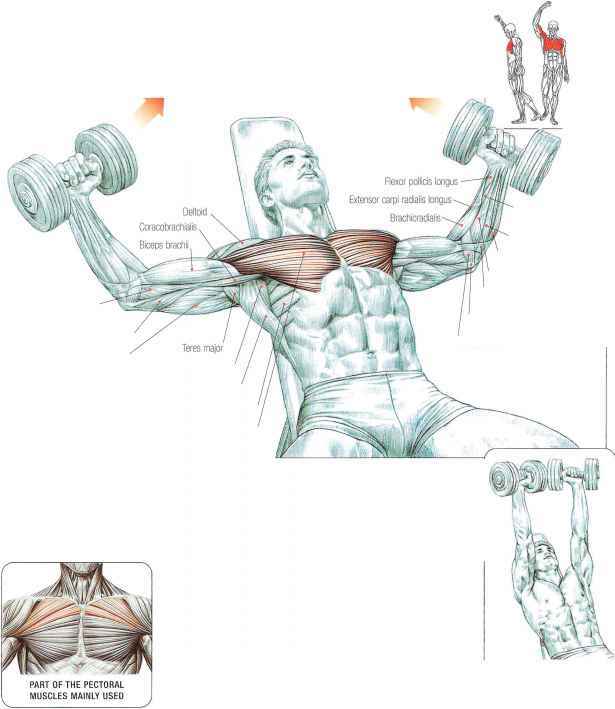 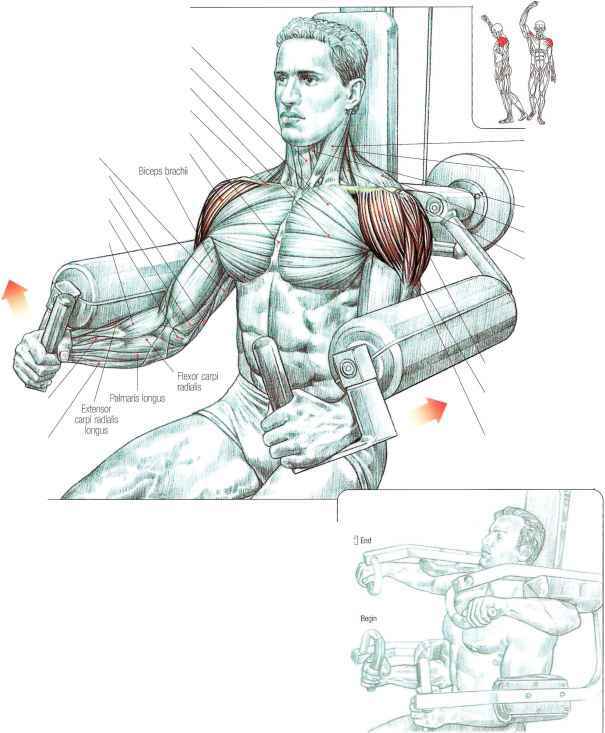 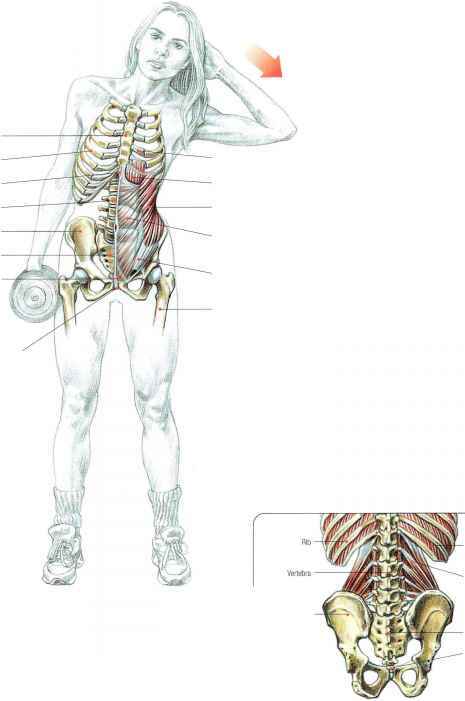 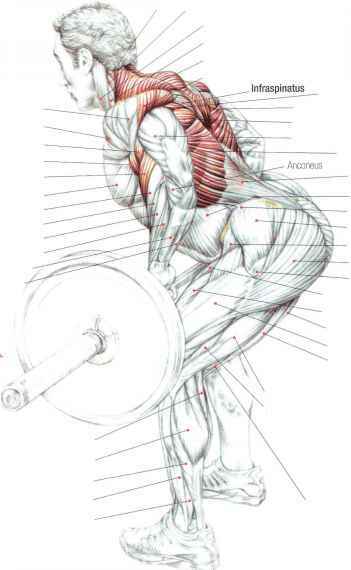 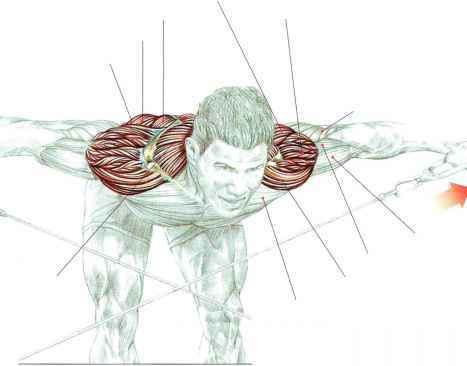 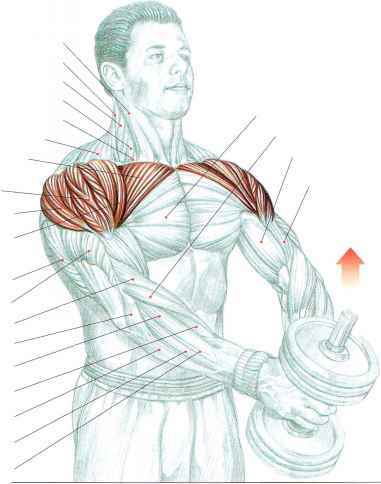 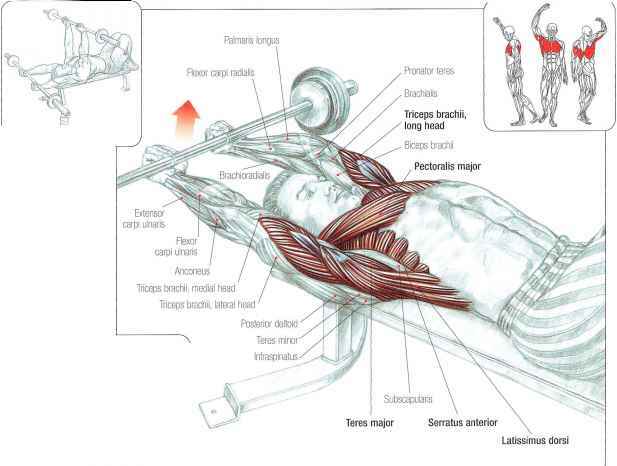 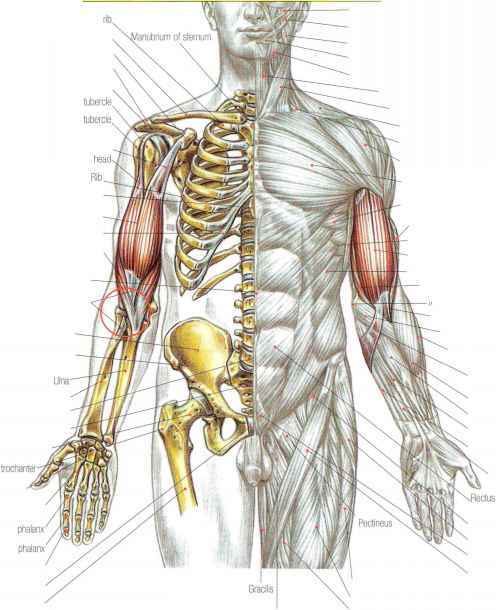 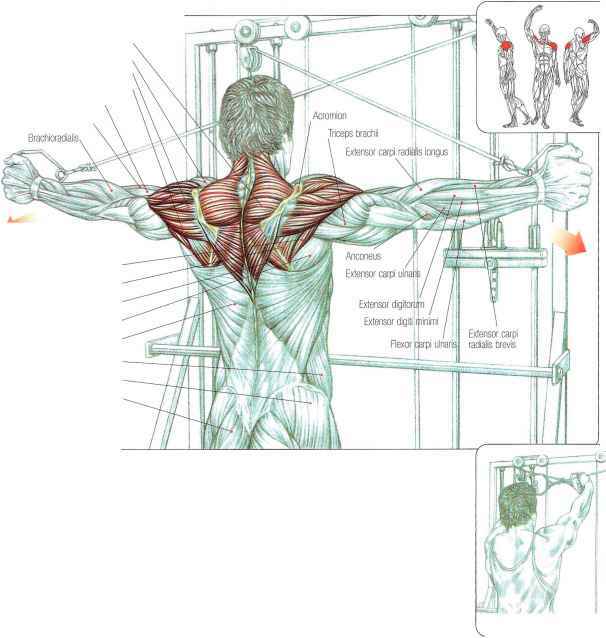 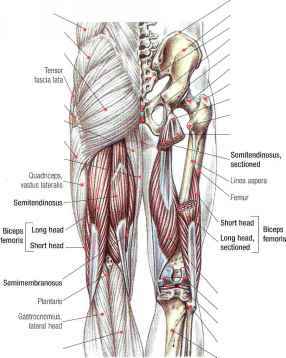 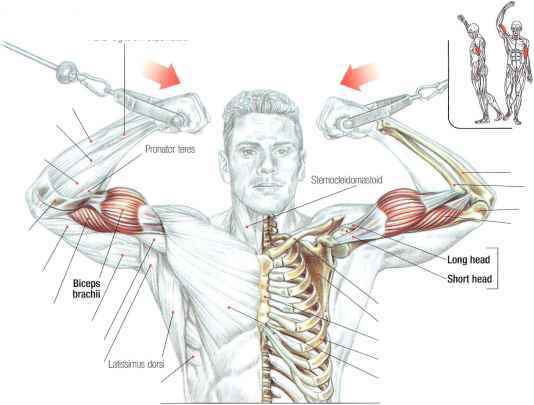 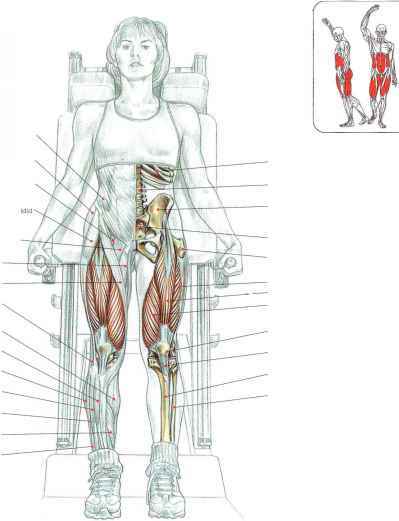 Posterior deltoid Infraspinatus Middle deltoid Stand with the feet apart, legs slightly bent, and lean forward from the waist, keeping a flat back, Grip a handle in each hand with the cables crossed Inhale and raise the arms to the side to horizontal. 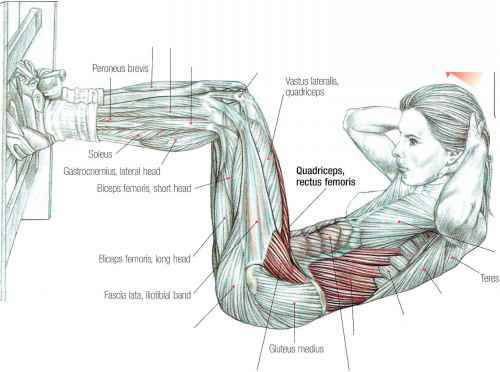 Exhale at the end of the effort. 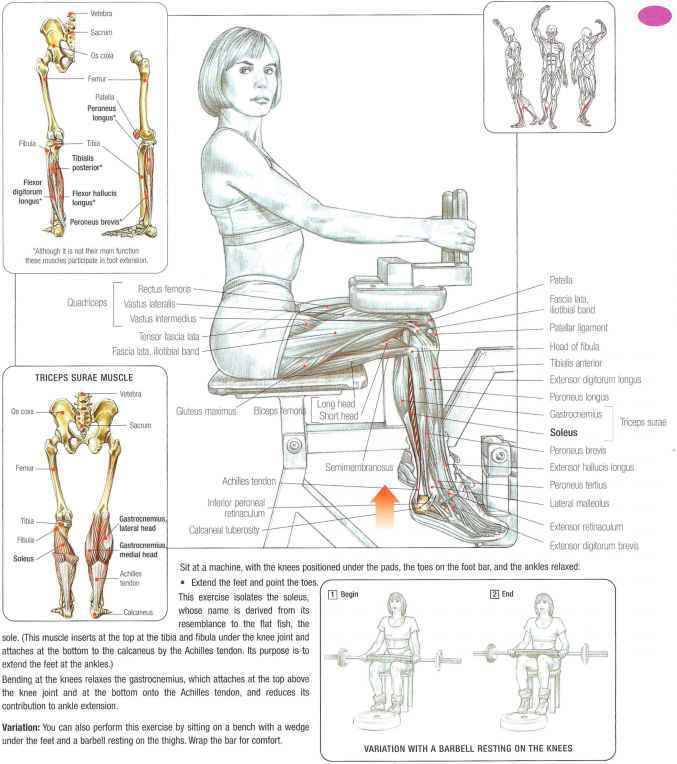 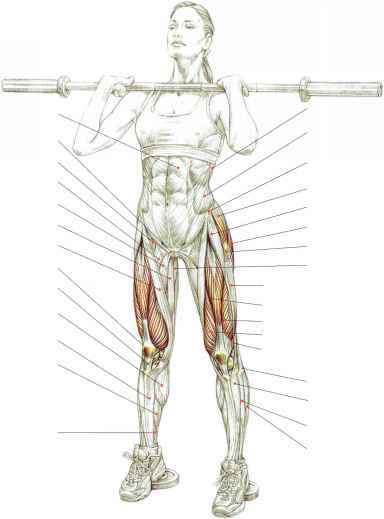 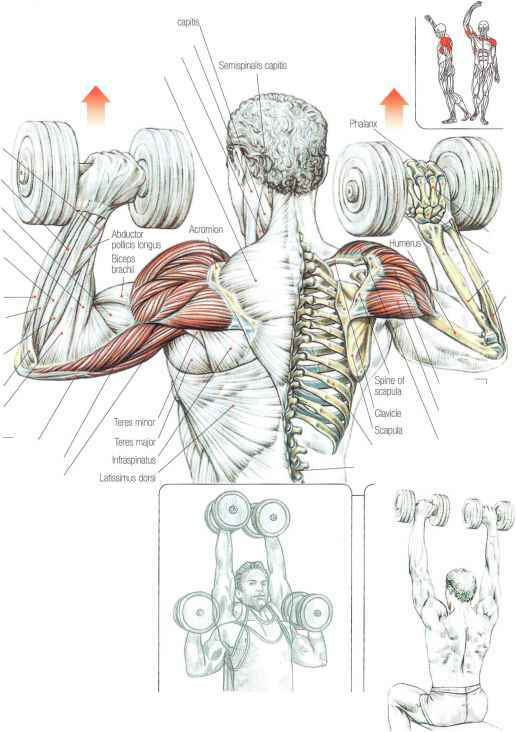 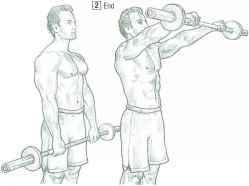 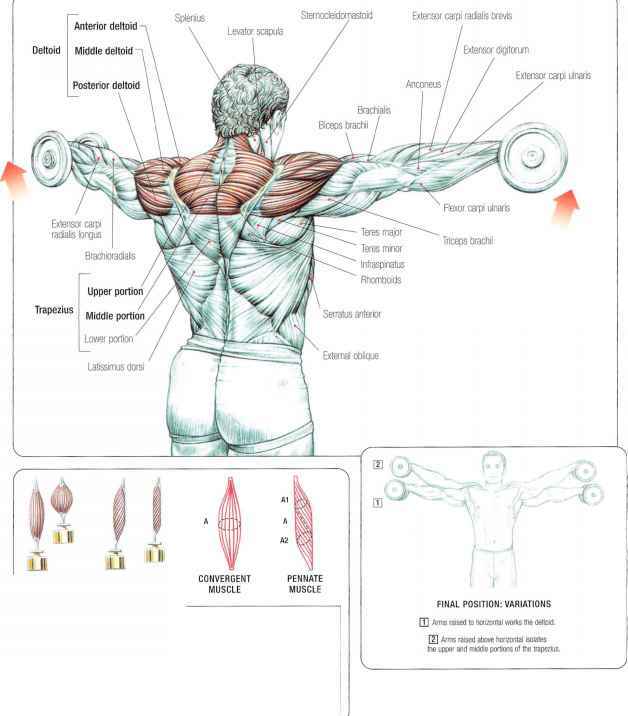 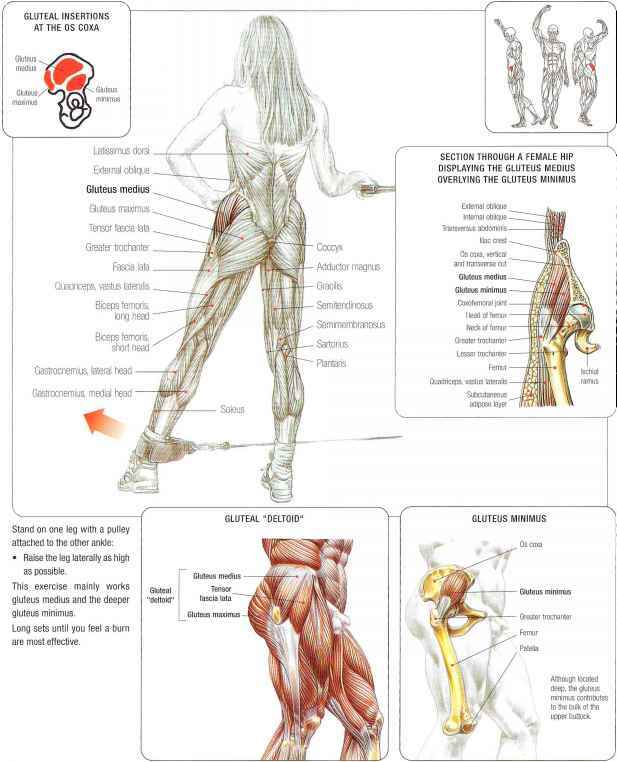 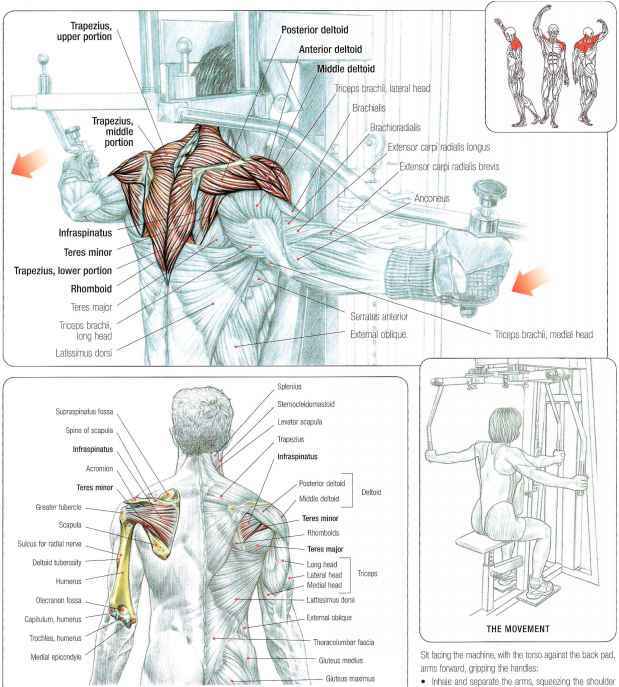 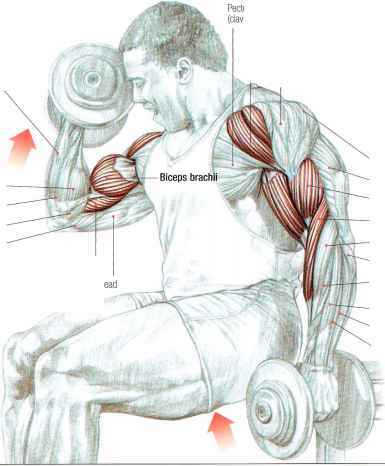 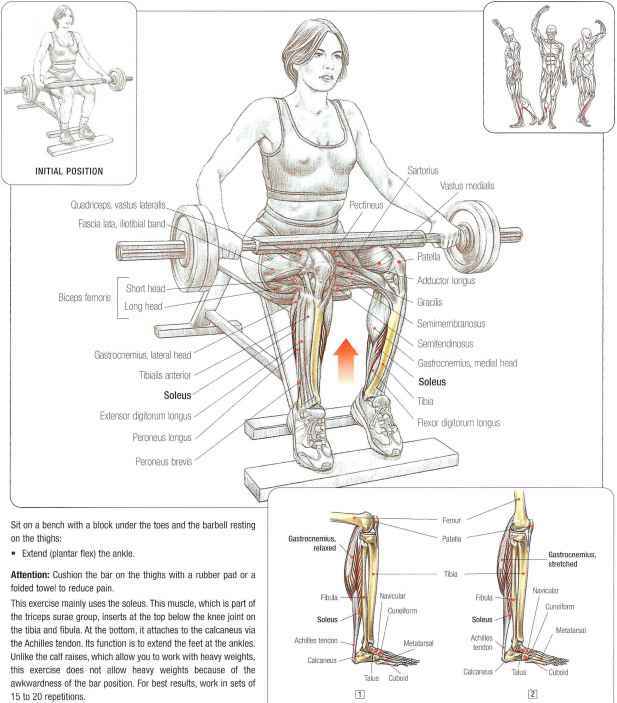 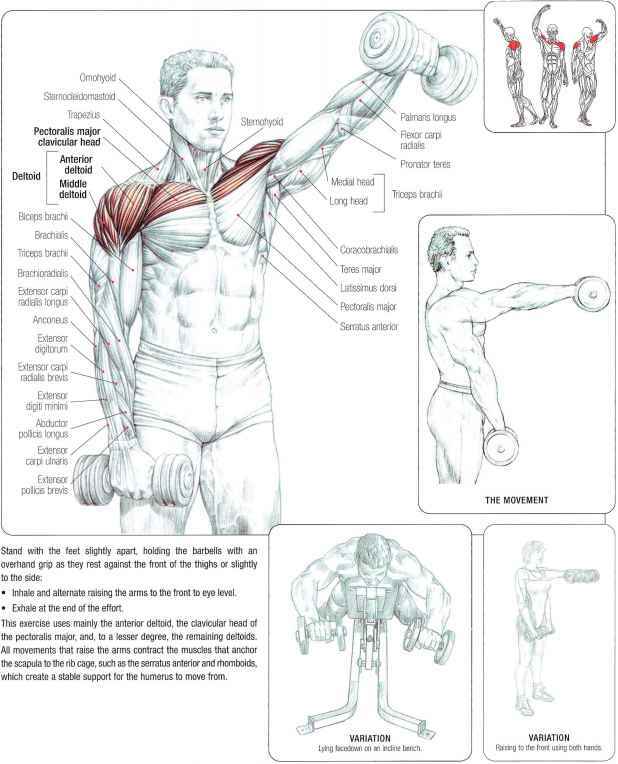 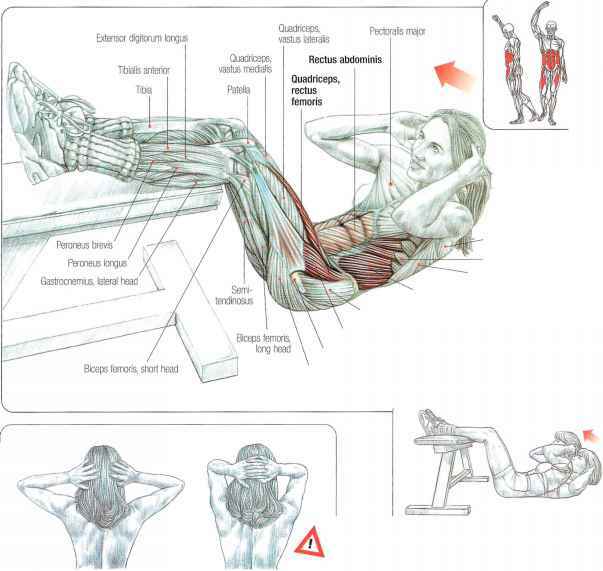 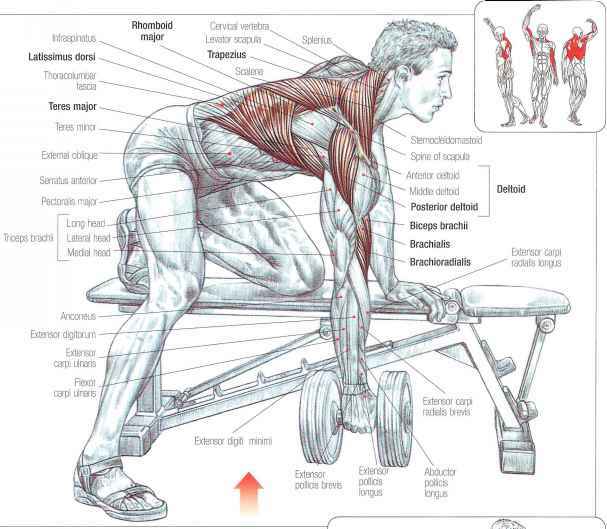 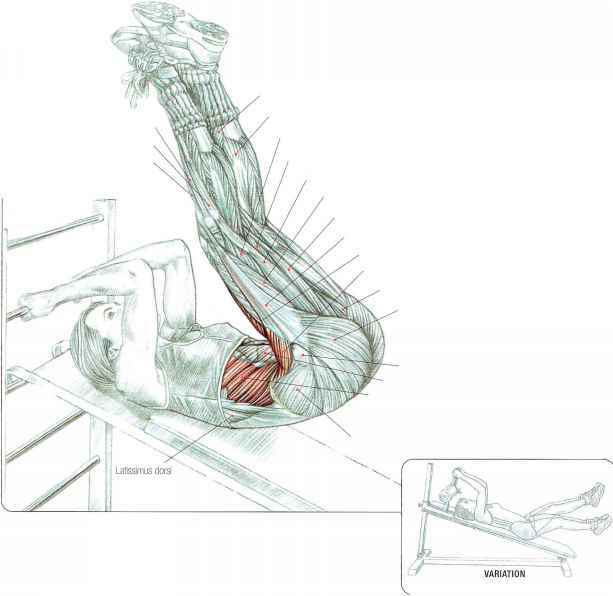 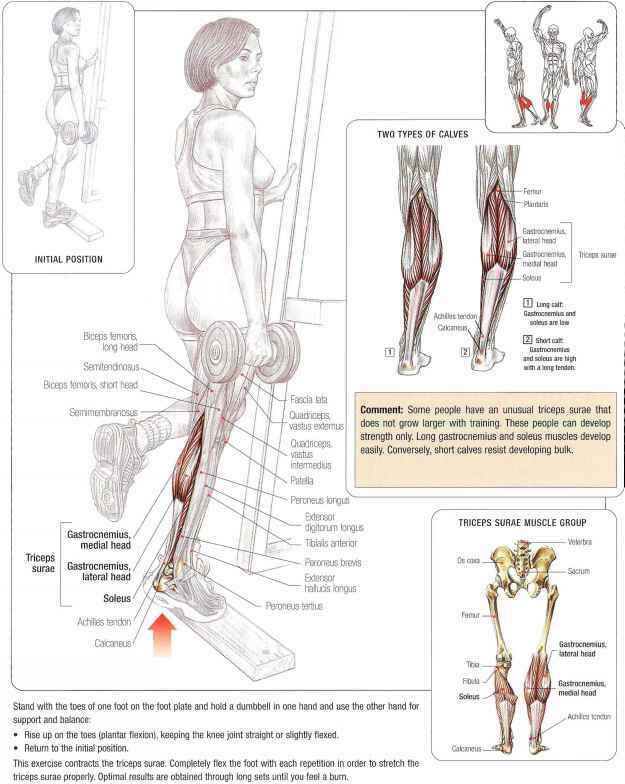 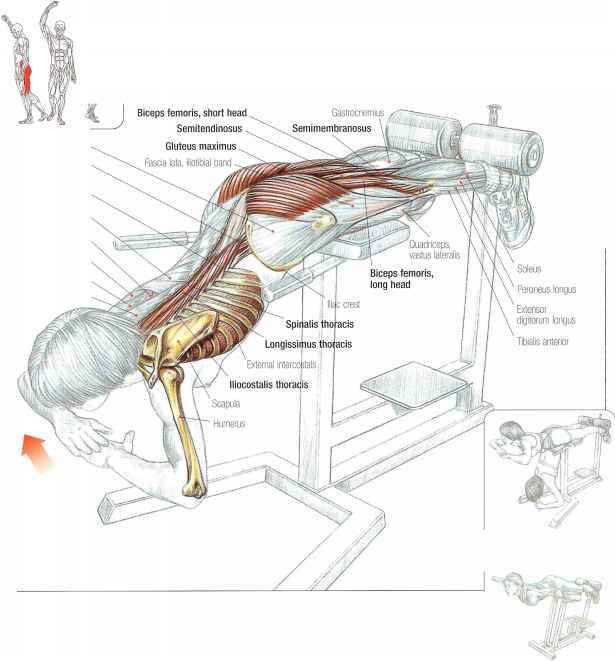 This exercise mainly works the posterior deltoid. 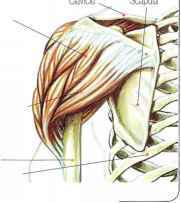 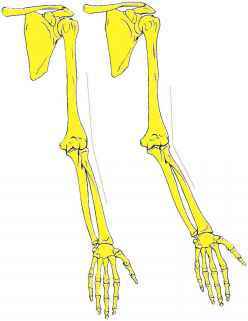 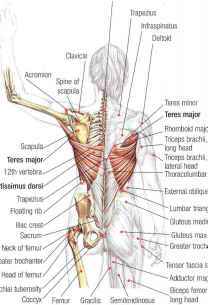 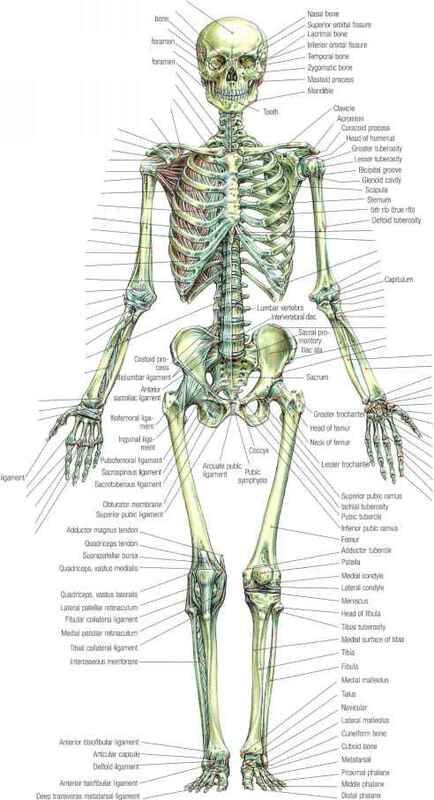 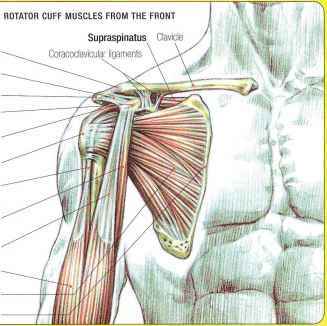 At the end of the movement, as the shoulder blades squeeze together, the trapezius (middle and lower portions) and the rhomboids contract.